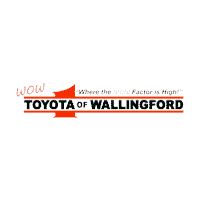 “At WOW Toyota of Wallingford, we don’t just sell and service new and pre-owned vehicles, we make “Friends for Life.” My philosophy has always been that the customer’s experience is the most important thing that happens in our dealership. Our mission is to exceed our customers’ expectations in every aspect of our business. I hope you feel it too. I want to personally thank each of you for giving us the opportunity to earn your business. Please do not hesitate to contact us with any of your automotive needs, suggestions and or comments. Toyota Products and services will represent the finest in quality and value to improve life for our customers while respecting the earth’s resources. Together, we will bring this commitment to life at every opportunity for every customer.